I’m back again today w/ another card! This time I made it for the Splitcoast VSN challenge, red white & blue JUN13VSND. 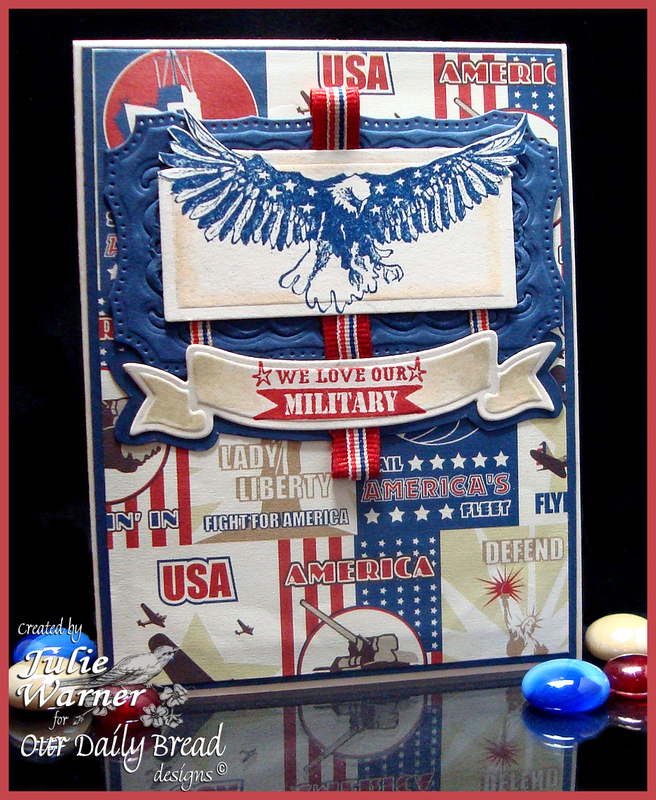 I love patriotic and military themed cards. While this may look like it has a lot going on, it was quick and pretty easy. I didn’t color anything and the background is a piece of designer paper. I didn’t even tie a bow…just looped some ribbon. I did do a little out of the box on the eagle but I do it so frequently, I could probably do it in my sleep. There’s just a hint of color inside the die cut edges, but that’s it. The finished card is 4.25 x 5.50.